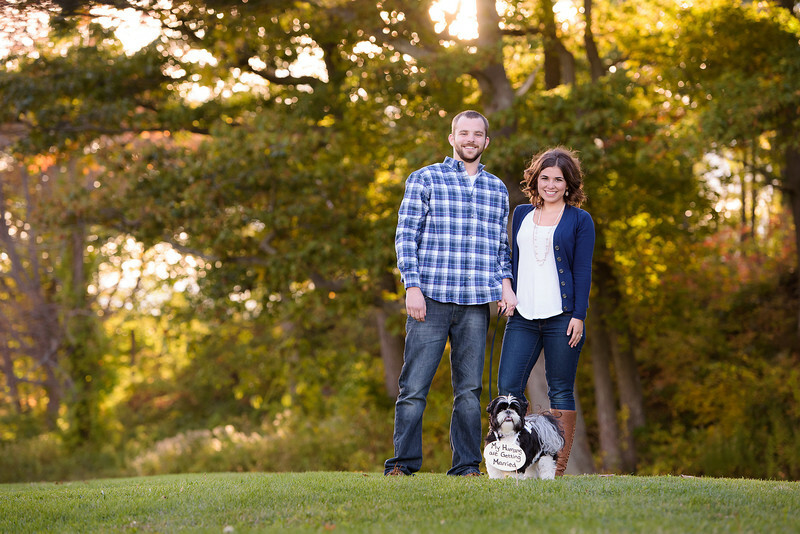 The engagement session is a time to get some wonderful images of you and your spouse to be. It’s a moment in time out of the crazy and hectic lives we all live to just be and enjoy the company of the person you fell in love with. Sometimes the images will be used for “save the dates” or printed as a huge canvas and other times they are made into a fine album to celebrate a special time in your lives. However the images are used, the engagement session will be a fun adventure and an opportunity to have some amazing professional images made of you as a couple together. When booking your engagement session the first question is usually “where shall we go”. Luckily here in Maine there is no shortage of beautiful locations. I recommend choosing a place that is meaningful to you both and if you are unsure I am always happy to offer some suggestions to my favorites in the area. Once the location, date and time is booked we will meet up on the day and get started. The sessions are very casual and we will usually start off walking around exploring the area together. I typically start by setting up a scenario for you both to interact together. This might be something such as walking hand in hand on the beach looking at each other, laughing and giggling. It may feel a bit awkward at first but soon your chemistry together takes over and the “set up” scenario becomes a real moment in time with laughter and joy. The images look like I just happened to be at the perfect place and at the perfect time. We will then continue exploring the area as I look for wonderful light and backgrounds to use to our advantage. If needed, I will offer some simple posing direction such as to bend your leg or tilt your head in a particular to make the images really sing. The entire photo session usually takes about 90 minutes and typically produces over 50 great shots. These sessions are always fun and I’ve had many clients genuinely surprised at how much fun they had when we finished. When should we book the engagement session? In Maine the weather and seasons are always changing and every season is gorgeous in its own special way. I schedule the sessions in the early mornings or in the late evenings to capture the best natural lighting to create beautiful, romantic images. I recommend booking the photo session as soon as you can commit to a date to ensure availability. If the weather is not cooperating I will contact you to discuss options to re-book. The peak times for photography are in the late summer and early autumn. Can we bring our children, dog or maybe some fun props? Certainly! This session is about creating the images you want and if that includes any of the above than let's do it. If you want to bring your children or maybe a four legged friend I recommend having another trustworthy family member or friend there to take the children (or dog) after we capture some initial shots of you all. This will allow us to create some images of you both as a couple together without the stress of having to monitor children or dog. Props can be a fun part of any photo session and I am always happy to entertain any requested shots. I have framed chalk boards, some old cameras, and other fun things to play with and would be happy to bring them along. I encourage you to bring any items you wish too. That said, while props can be a fun addition to any photo session I don't think they should be the focal point. Once these shots are done we can tuck the props away to concentrate on capturing the bond and interaction between you both. Will there be time for clothing changes? How about location changes? The photo sessions are about 90 minutes long and there will be time for a quick clothing change and possibly another location. Instead of changing into completely new outfits I recommend dressing in layers and using accessories to change up an outfit. Adding or removing a sweater, scarf, or hat can change up a wardrobe quickly and easily saving more time for creative images. Most locations have plenty to work with and I am able to create many different looks and styles while exploring the area. I recommend locations like Fort Williams in Cape Elizabeth or the Old Port in Portland as these locations offer lots of variety and different lighting situations all within a close proximity. Check out my location suggestions in and around Portland, Maine located here. When the session is scheduled we will have time to discuss possible locations and come up with a plan. If you were hoping to have images done in more than one location it is important to consider travel time, parking and time needed to walk to the location. The most important thing to have a fun and relaxed time creating lovely images of you both and therefore I recommend keeping traveling to locations minimal. What should I wear for my engagement photo session? When considering your wardrobe start with what compliments you and your style and then look to coordinate your outfits without being to matchy. The clothing should be flattering, well fitting, and bring the attention to you rather than to the clothing itself. Colors that photograph well include soft earth tones as well as the primary colors such as reds, blues (navy) and yellows. Try to stay clear of fluorescence, busy designs, logos, or anything that will compete for your eyes attention. Don't be afraid of patterns and even combining patterns between you. Just be sure that the patterns are scaled differently. A large patterned sun dress works very well with any solid or tightly patterned shirt. Build on your wardrobe and (weather depending) have multiple layers and accessories to add variety. This is totally optional but deserves a Yes and yes! Besides it's a good excuse to pamper yourself! A good makeup artist can do some amazing things to enhance your natural beauty and the pampering will make you feel great which will radiate throughout the photo session. It's a win win. The only time I wouldn't recommend getting your hair done is if you were considering a beach photo session where the wind will likely be a factor.